Pet Stains? Pet Odors? Call Steve’s First! 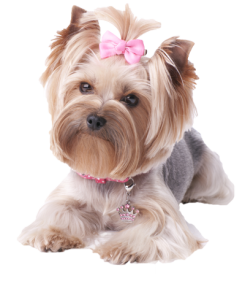 At Steve’s GreenClean, we know you love your pets… we love ours too! But let’s face it, PET ACCIDENTS HAPPEN! Even the most well-trained pets sometimes have an accident – and that accident is often going to happen on your carpet or area rugs. One of the most difficult cleaning situations a homeowner can encounter is the challenge of removing pet stains and odors from carpet, area rugs and furniture. Many people will try to solve the problem themselves, only to find that their efforts have helped (maybe) – but not completely resolved the issue. Most store bought products are not professional strength and can set the stain rather than remove it. This is where our pet stain and odor removal carpet cleaning service comes into play. Our professional process utilizes advanced enzyme and antimicrobial based solutions that can eliminate the problem without causing harm to your valuable carpets and furnishings. Our pet stain and odor solutions are powerful, yet pet and child friendly, and will leave your home smelling fresh and clean every time. If left unattended for an extended time, it’s highly likely there may be permanent damage. The carpet, padding and even sub-floor can be saturated and bacteria growth can easily occur. The dyes in the carpet or furniture can be also affected. Sometimes, the damage is not visible until months later. Then it is too late to restore the item to its original condition. Removing pet stains and odor from carpets is a job for trained carpet cleaning experts. We have multiple solutions for pet odor and pet stain treatment. Our skilled technicians can evaluate and recommend the right treatment and process to solve the problem. The level of treatment we recommend depends upon how deeply the stain or odor has penetrated the carpet, padding and/or sub-floor. The faster we get to it, the better chance you have at total pet stain and odor removal and less chance you may need to take most costly steps later. Carpet Cleaning With Pet Stain and Odor Treatment: Areas where accidents have occurred are pre-treated using an enzyme based pet stain removal solution. To eliminate odor, carpets are treated with an enzyme based antimicrobial solution designed to kill odor causing bacteria in the carpet. Carpet Pet Odor Eliminator Injection: When stains disappear but pet odors continues due to contaminated padding, we recreate the accident with antimicrobial into the underlying padding, killing the bacteria from urine that soaked through to the pad. CLO-2 (Clorine Dioxide) Fumigation Treatment: ClO2 gas is released in each affected room (which must be closed off for up to 6 hours). The vapor will travel into every crack and crevice and deep into every fiber of the carpet and effectively and safely deodorize the room in a single treatment. Our Deep Reach CLO-2 Oxidation System can eliminate the vestiges of: smoke, tobacco, musty odors, urine, pet odors, cooking spices such as curry and other tough odors. Call us to discuss your problem odors. Pet Stains And Odor Sub-floor Germicidal Rinse & Seal: The most extensive underlying pet urine damages and odors require the carpet to be lifted. The contaminated padding removed, and the floor beneath washed, sanitized and sealed. Antimicrobial is applied to the cleaned floor and the floor is also sealed. New padding is inserted and the carpet, backing and surface is treated with antimicrobial. We’ll move through each phase until we find the right solution for pet urine removal and pet odor removal relating to your carpet. For example, if you have surface treatments performed but they do not solve the problem we will move to the next phase of treatment, crediting the amount you spent on surface treatments towards that next level. That way you don’t spend any more that necessary for the appropriate remedy! If you have any questions call Steve’s Today. We’re happy to provide any information or even a free inspection and estimate and let you know EXACTLY how we can help you. You can always trust Steve’s GreenClean for excellent quality service and great prices.